Please Note: Although Carnelian may not need clearing/cleansing as often as most crystals, we suggest clearing your Carnelian as often as is needed, based on (1) the amount of use it gets (how hard is your crystal working for you?) and (2) the amount of energy that your crystal has been exposed to over a period of time. When clearing your crystals, always make sure that your intent is clearly stated, so the crystal knows that it is being given some time off and needs to recharge itself. See this informative article on how to clear/clean any of your crystals: https://www.healingcrystals.com/How_to_Clean_Crystals_Articles_11358.html. 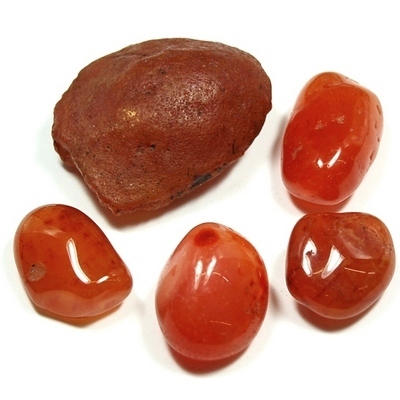 Cleanse and charge your Carnelian by holding it under running water, and then placing it in the sun. Click here to see Carnelian in our online catalog.